Classic after shaving splash scented with top notes of orange blossom, bergamot and coriander. A classic after shave splash for use post shave. 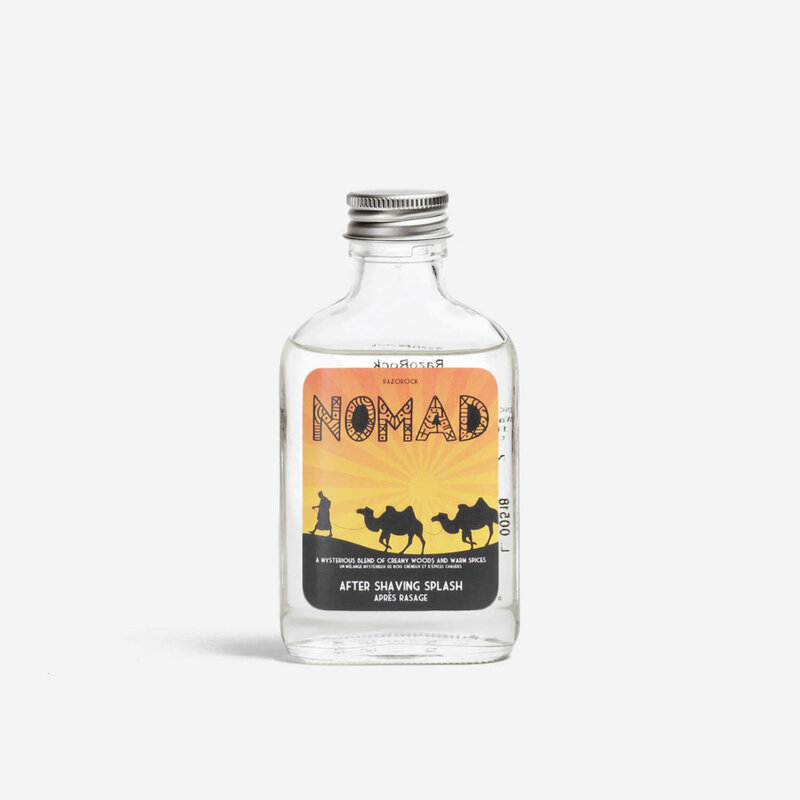 Scented with RazoRock’s Nomad scent, which has top notes of orange blossom, bergamot and coriander. Alcohol Denat., Aqua (Water), Parfum, Polysorbate 20, PEG-40 Hydrogenated Castor Oil, Menthol, Dimethicone Copolyol, Tetrasodium EDTA, Hexyl Cinnamal, Linalool, Citronellol, Limonene.